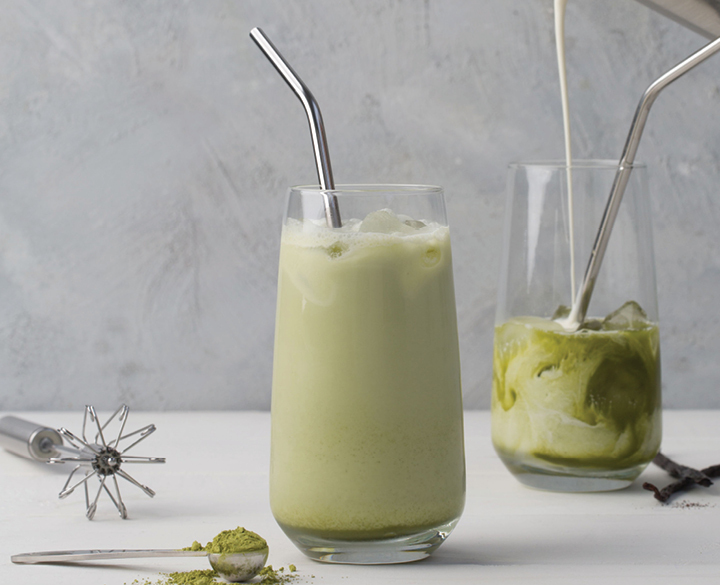 In a glass (about 8-10 oz) mix Vanilla Matcha with hot water to create a paste and dissolve any clumps. Carefully add ice to glass, filling to about half way. Add maple syrup for sweetness. Add milk to Party Milk Frother and froth. Pour over ice in glass. Stir gently to combine.